Saturday, December 22 @ 3:00 p.m. & 7:30 p.m. 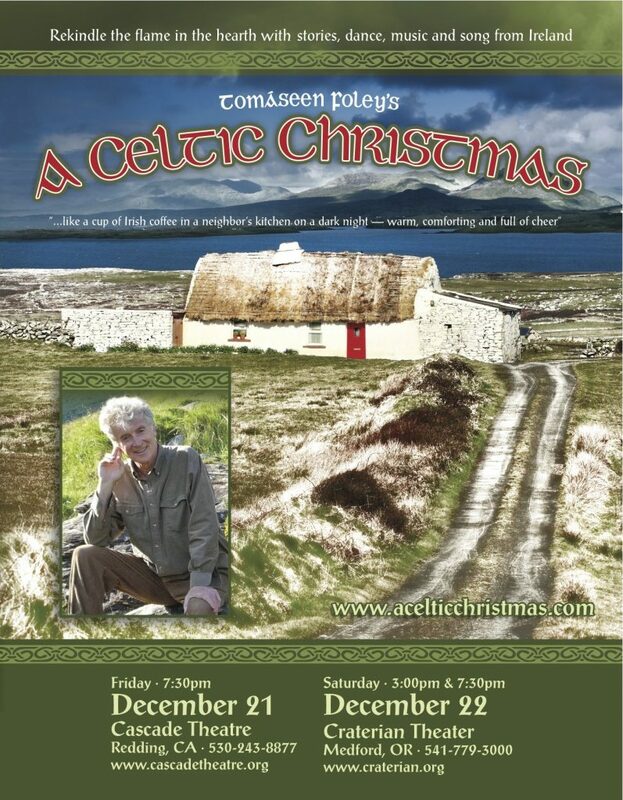 Direct from his native parish of Teampall an Ghleanntáin in the West of Ireland, each Christmas for the past fifteen years, native Irish storyteller Tomáseen Foley, together with Celtic musicians and traditional Irish dancers and singers from both sides of the Atlantic, set out on their coast-to-coast Christmas tour and invite their audiences all over the country to partake in their wholesome on stage cultural feast. Theirs is a Christmas table richly endowed with the stories, music, and dance of the old communal way of life – a unique window into the way Christmas was celebrated in the days before the motorcar, the television and the telephone. Theirs is a cultural Christmas feast for the whole family – featuring some of the finest exponents of the Celtic arts performing anywhere today, on either side of the Atlantic. Tomáseen Foley’s A Celtic Christmas looks back to a gentler time, to a simpler place — the home-place, to where the home fire is still burning, to the candle in the window, to the smiling neighbor’s face at the door.